Pat: In your own words, why would say teaching the Old Testament is important? David: Apart from it being the Word of God and profitable for our instruction, reproof, etc. (2 Tim. 3:16), I’d give the following reasons. The Old Testament does not just “point forward” to Christ; it reveals him. It is not merely a series of signposts to Christ; his bright and revealing shadow falls on every page, exciting faith and love in believing hearts. When we come to a word, phrase, or concept in the New Testament, our first question should be, “What does the Old Testament say about this?” Remember, the New Testament was originally written by Jews, and much of it was written to Jews. It assumes a knowledge of the Old Testament, and builds upon it. 3. The Old Testament presents doctrine in story form. God’s not only given us laws, He’s given us lives. 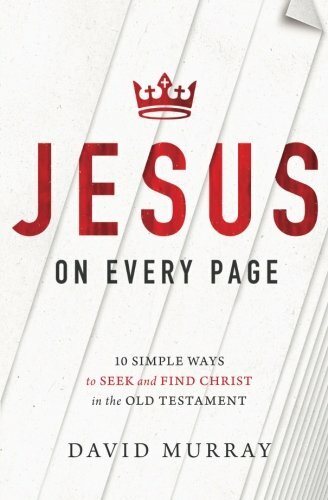 He’s incarnated His ten moral principles in the lives of Old Testament characters, providing us with fascinating biographies to inspire and warn (1 Cor. 10:11; Luke 17:32). We also see New Testament doctrines worked out in Old Testament believers’ lives: through typology we learn most about Christ’s priesthood from Aaron, Christ’s kingship from David, and Christ’s prophetic office from Moses. Abraham demonstrates justifying faith, Elijah portrays effectual and fervent prayer, Ruth and Naomi display the communion of saints, Job perseveres through the Lord’s preservation, and David exhibits how forgiveness and chastisement are often experienced together. And it’s all in the vivid Technicolor and Dolby of flesh and blood humanity. 4. The Old Testamentcomforts and encourages us. As we read the Old Testament narratives, we experience the beautiful comfort and hope that Paul promised us would accompany such study (Rom. 15:4). We are comforted with God’s sovereign love, majestic power, and covenant faithfulness in his relationship with Israel. When we know the Old Testament backgrounds of the “Hall of Fathers” in Hebrews 11, we are encouraged to follow their Christ-focused faith and spirituality. In the Psalms, we’re given songs that have comforted and encouraged believers throughout the world and throughout the centuries. And when we see the way that hundreds of Old Testament prophecies are fulfilled in Christ, our faith in God and his Word is strengthened. 5. The Old Testament saves souls. When Paul assured Timothy that “the Holy Scriptures [are] able to make you wise for salvation through faith which is in Christ Jesus,” he was speaking of the Old Testament (2 Tim. 3:15). Like the New Testament, the Old Testament also saved (and still saves) souls through faith in Christ. 6. The Old Testament helps us appreciate the New Testament more. For all that the Old Testament reveals of Jesus, and of Christian doctrine and experience, we must concede that it also conceals, that there is a lot of often frustrating shadow, that there is unfulfilled longing and desire, that there is often something, or rather Someone missing. 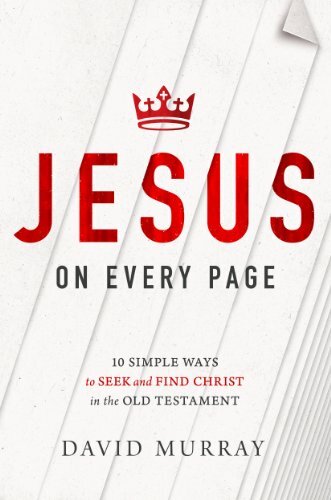 The more we read it, the more we long for and love the incarnate Christ of the New Testament. The dawn is beautiful, but the sunrise is stunning. What do you think? Do you exhibit confidence and hope in the present Christ when you teach the Old Testament?